In early January 2014, we came across a photo on Instagram posted by Sarah-Marie. 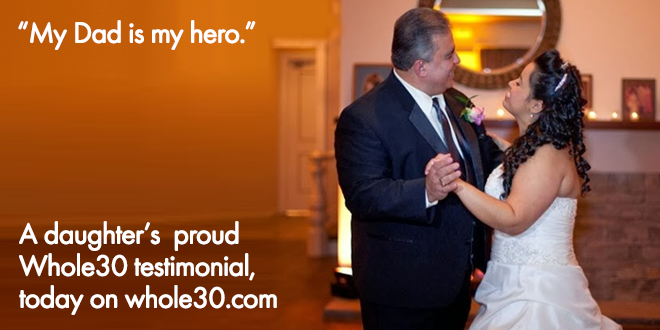 A month later, Sarah sent me her father’s Whole30 story, as posted on her blog. She generously allowed us to republish it here. I dare you not to be moved to tears–we all were. In his younger days, he used to be a bodybuilder and I remember being able to hang and swing holding onto his biceps. After a long car ride home, I would pretend to be asleep in the car, just so he could carry me into the house in his strong arms. 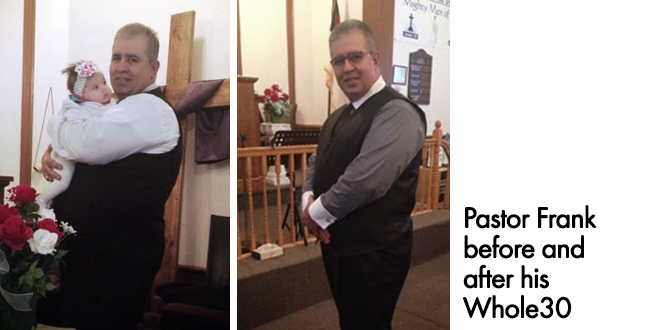 As the years went on, his priorities shifted from bodybuilding to becoming the first pastor of a Spanish speaking congregation in our small town in Pennsylvania and the founder of a local food bank. The weight started creeping on. He was (and is still) so committed to helping this community that his health took a back seat. 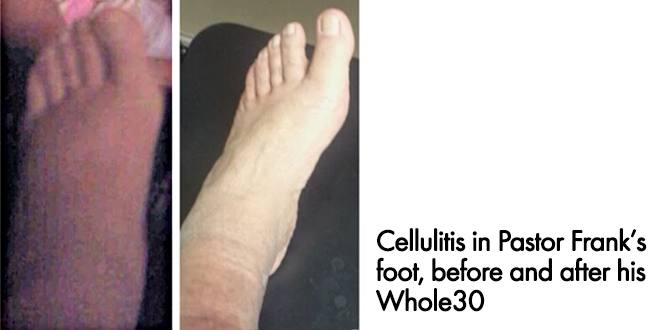 Due to the weight gain and poor diet, my father developed poor circulation in his legs, and a type of skin infection called cellulitis. 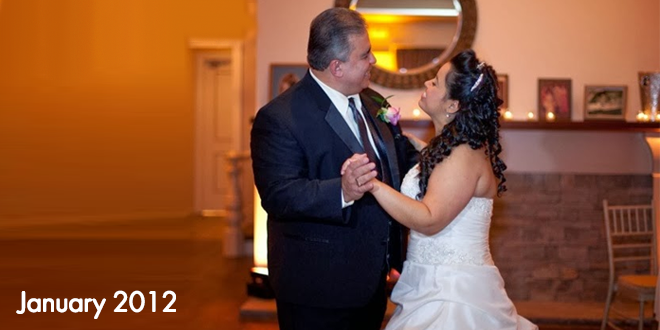 Over the years he’s had two surgeries to address the issues, and after an ER visit in December 2013, he was headed for a third. I had spoken to my family about the Whole30 since I discovered it back in August 2012, but they never thought it was feasible for them. After all, I come from a very Puerto Rican family that can live off of rice and beans alone. 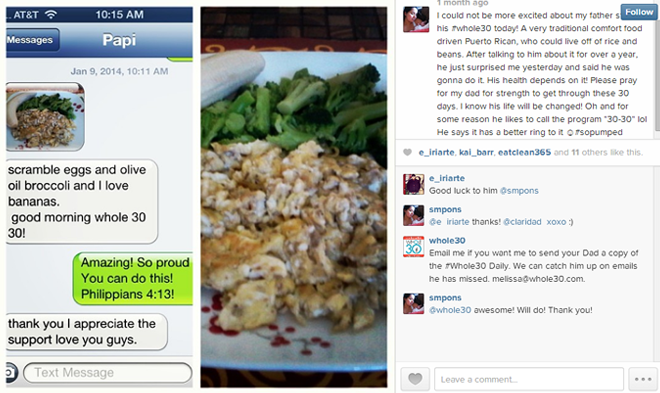 But after my dad’s latest health concerns, he decided to embark on his own Whole30 journey. I am so proud of his commitment and dedication over the last 30 days. I’ve seen with my very own eyes how his energy has increased, how positive he feels about life, and how he went from needing 5-6 cups of coffee per day to only 1-2 cups. I’ve seen him reach for a piece of fruit for a snack instead of his usual crackers with peanut butter. I heard from my mom that he’s sleeping so much better and longer at night. I’ve seen him preach on Sunday mornings with more fervor than ever. I’ve seen his suits fit him so much better. Is that not incredible?! FOOD IS MEDICINE! 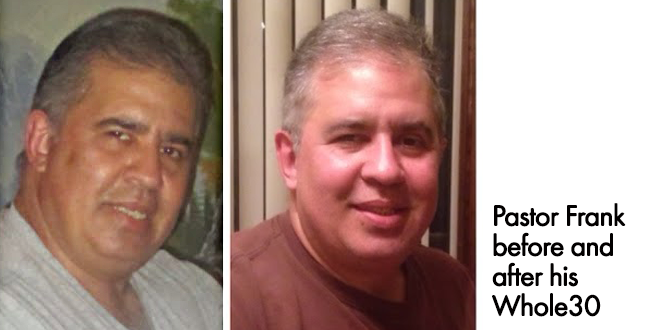 By simply eating real foods like meat, vegetables, fruits, eggs, nuts, and avocados, he has taken his health into his own hands. Oh, and he also lost 23 pounds. TWENTY THREE POUNDS. No big deal. I couldn’t be prouder. My father is my hero.